This book offers innovative perspectives on the intersections between history and memory in Central and Eastern European borderlands. 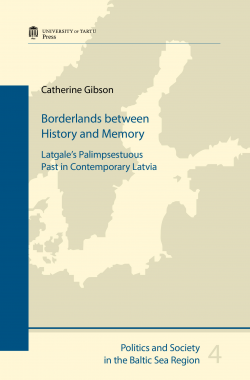 It focuses on the case of Latgale, the multicultural region of eastern Latvia which borders Russia, Belarus and Lithuania, and explores the multiple layers of memories and historical narratives about this borderland in Latvian public history. Based on a detailed analysis of national and regional museums, as well as material from interviews and an expert survey, the study examines how different actors and projects negotiate the borderland’s complex history and attempt to shape it into meaningful narratives in the present. Moving beyond binary ethnolinguistic approaches of “Latvian” versus “Russian” interpretations of the past, a more nuanced analytical framework is developed that compares state-level constructions of national master-narratives, the uses of history for local region-building, the persistence of Soviet official narratives, and transnational initiatives aimed at transcending the conceptual borders of the nation-state. The reader will find this to be a fascinating study into the little-known case of Latgale and a valuable contribution to the broader research fields of memory politics and borderlands in the post-Soviet space. Catherine Gibson is a doctoral researcher at the European University Institute, Florence. She obtained her Masters from the School of Slavonic and East European Studies at University College London and the University of Tartu in 2015. Besides memory politics, her research interests include borders and borderlands, language politics, and transnational and spatial approaches to the history of the north-west Russian Empire and Baltic states.